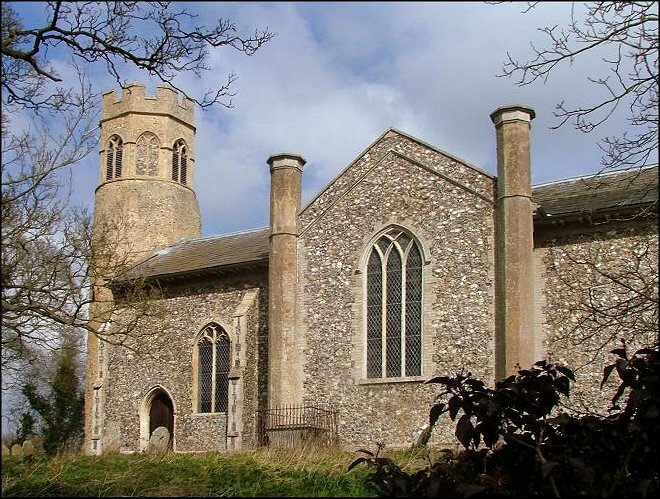 Across the valley of the river Wensum from the magnificent pile of Swanton Morley church is this curious little building that looks like no other church in Norfolk. 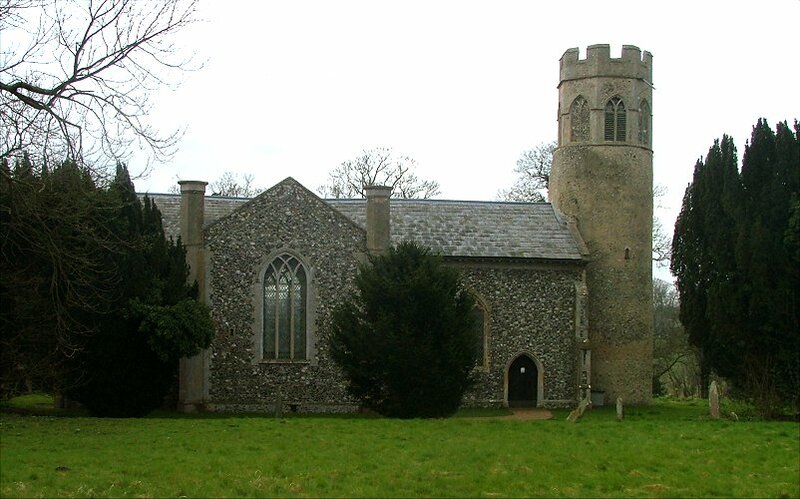 At one end is a pleasing Norman round tower with a late medieval crown, but quite out of kilter with it is the body of the church, a crisp, austere building that appears all transepts and hardly any nave and chancel. It is obviously modern, but there are no medieval-style details at all, leading you to guess that the rebuilding happened before the great wave of Victorian church restoration. 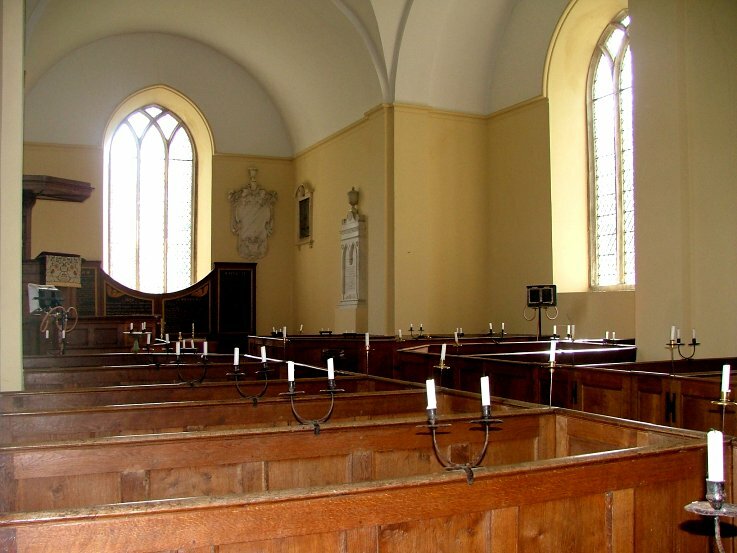 And you'd be right, because this is a very rare example of a church completely rebuilt as early as 1809 for Sir John Lombe of Bylaugh Hall. Now, that's interesting. 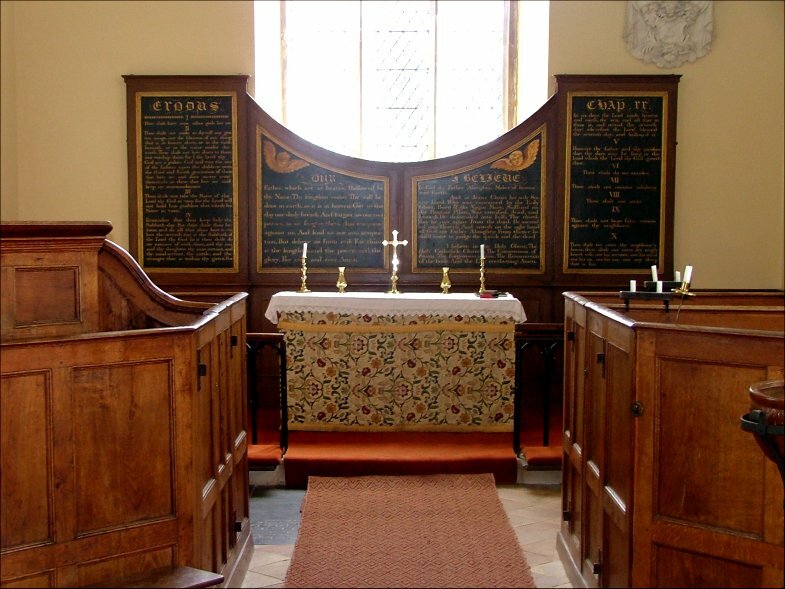 But what makes it really exciting is that the rebuilding included a complete refurnishing in the manner of the day, a perfectly preserved pre-ecclesiological interior with a three-decker pulpit, box pews, fire places and a harmonium, still without electricity, still as it was when the estate workers sat behind their elders and betters in the years before the new Queen came to the throne. The fire places are set in the north and south walls of the transepts, the pinnacles that flank them cleverly disguised chimneys. 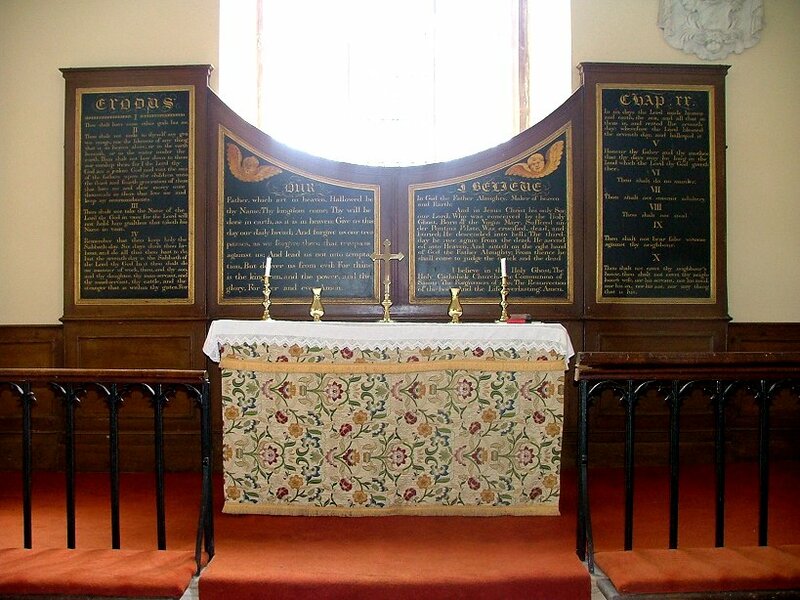 The interior is lovingly cared for, not a speck of dirt or damp, and the prettiest altar frontal. 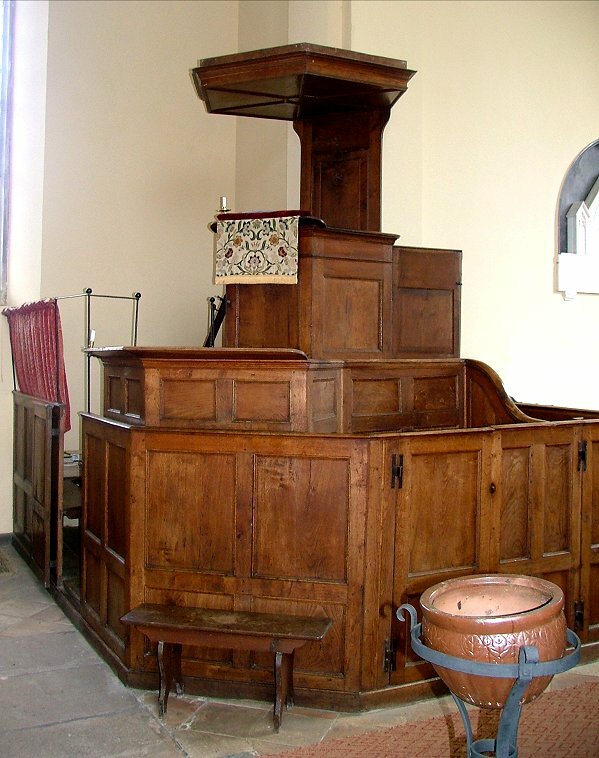 Mortlock thought the three-decker pulpit was the best in Norfolk. 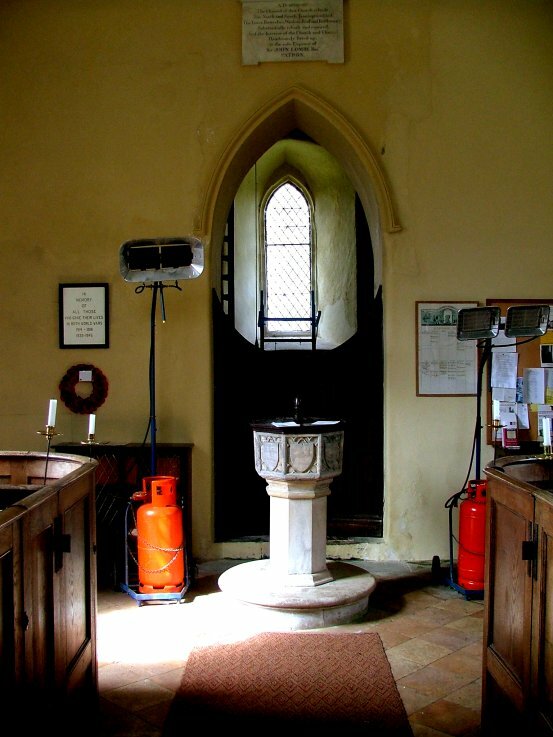 This must be a beautiful place for evensong at dusk, with the candles alight, and fires crackling in the grates. There is actually a fine medieval survival here, if you have the patience to find it. 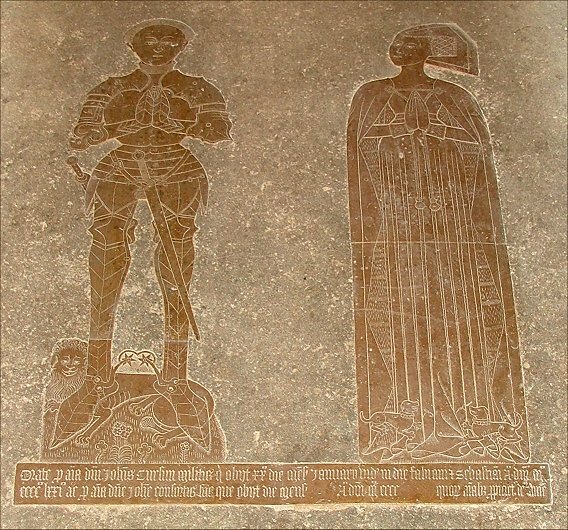 Halfway along the nave, under the long carpet, is a brass to Sir John and Lady Joan Cursin, dated 1471. 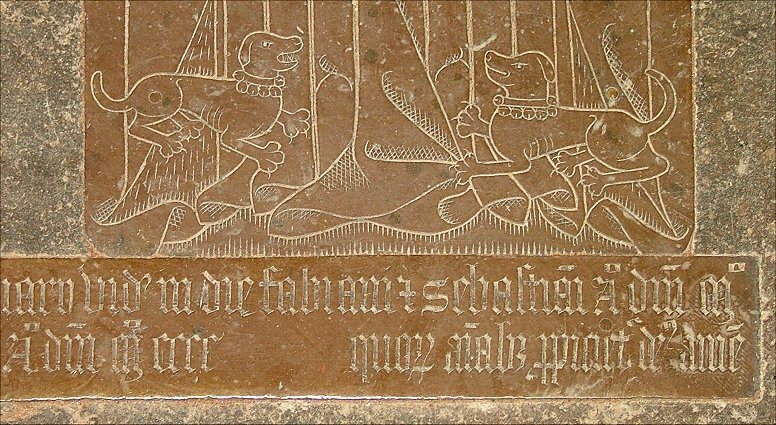 It is in beautiful condition, and I particularly like the little dogs at Lady Joan's feet. Her dates are not filled in - perhaps she married again, and is buried elsewhere. 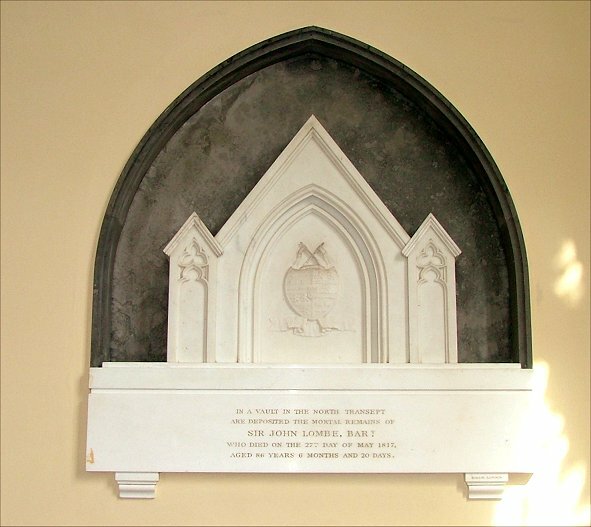 I was delighted to discover from Pevsner that Sir John Lombe, who paid for the rebuilding, and who is commemorated by an austere Gothic memorial in the chancel, originally won the Bylaugh estate by gambling for it. I've since been told that the deeds appear to show that this is not true, but what a great story. 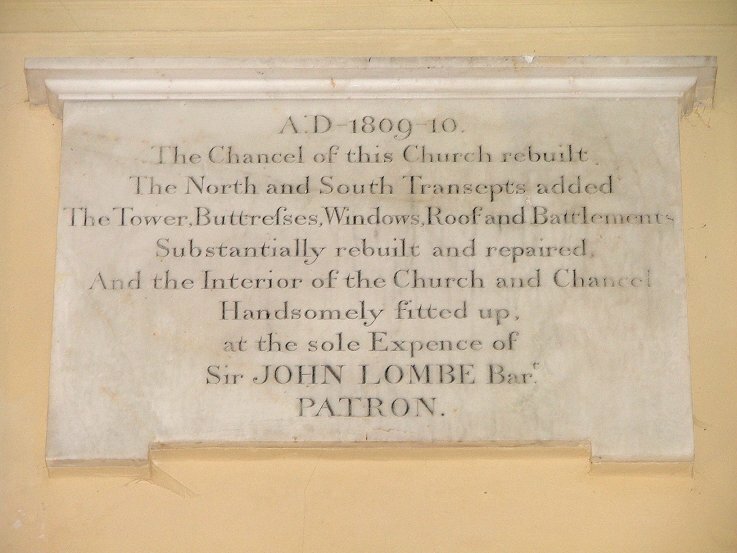 Lombe died aged 86 in 1817. 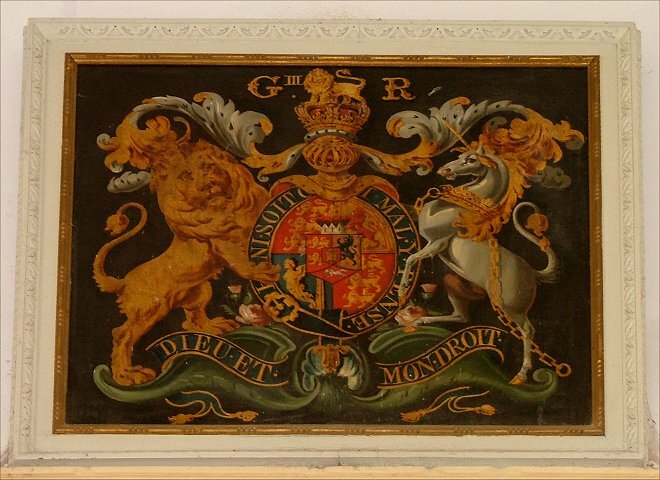 Bylaugh Hall was rebuilt by his son to the designs of Charles Barry, the co-designer of the Houses of Parliament. Apparently, some of the workers came from Westminster to build the Hall. It was severely damaged by being comandeered and used as a barracks in WWII, and was finally abandoned to the elements in 1952. 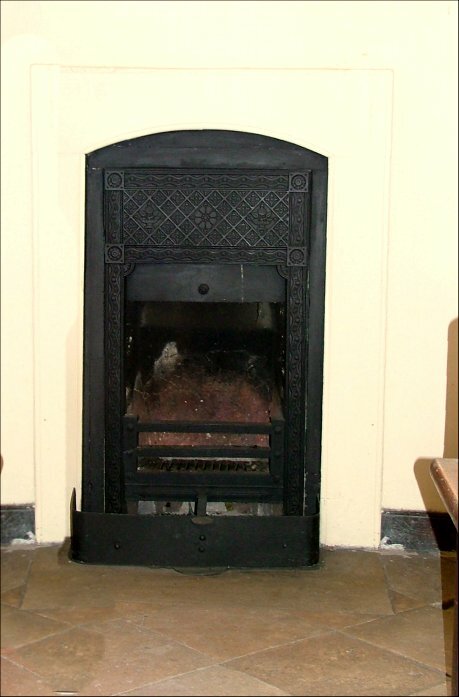 However, the Hall has recently been brought back to life by the energetic and tender care of the Vince family, and is now in use again as a hotel and for conferences and receptions. 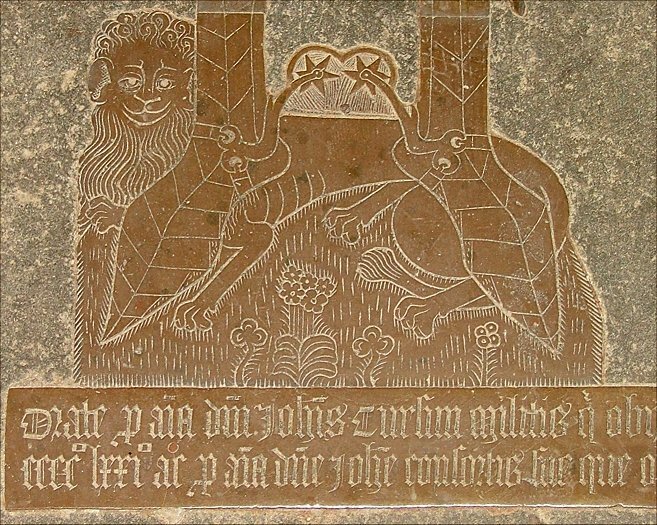 Perhaps the most exciting thing about the church of St Mary is that it escaped almost entirely the attentions of later in the century, presumably because the Lombes wanted it so. 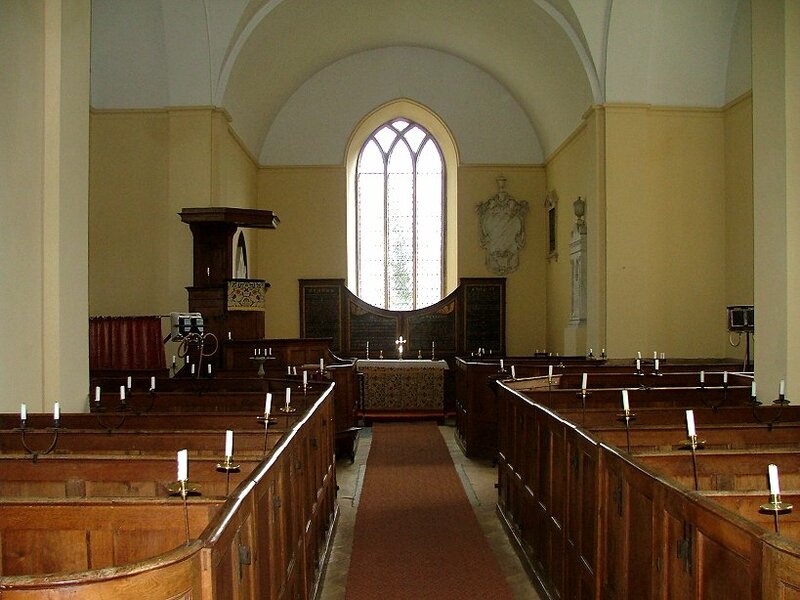 But there is perhaps another reason; the Rector of this church throughout the Victorian period was a Mr Norgate. He was presented to the Living in 1836, and was still in harness when he died in 1908. This is as if a modern day Church of England Rector had been in the same post to comfort his parishioners about the rise of Hitler. 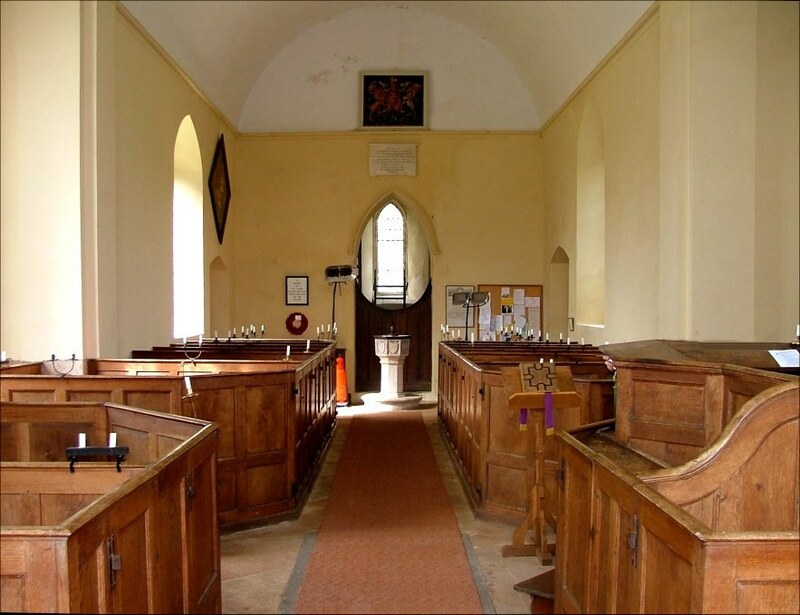 Tom observed, and I have to agree with him, that this is a very rare example of a church which should be kept locked. 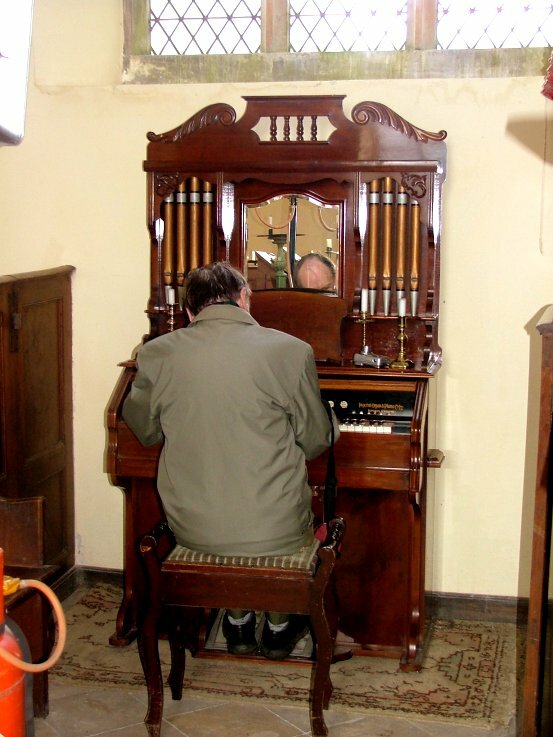 It is set remotely on a narrow lane that runs beneath Bylaugh Hall, and what it contains is a treasure house, an unashamed museum of Georgian furnishings, a Jane Austen of a church when all around are Dickens and Hardy.